That’s right folks; starting today, the viral revolution that we call the Uptown Collective is now also in print thanks to the invaluable and ubiquitous Manhattan Times. 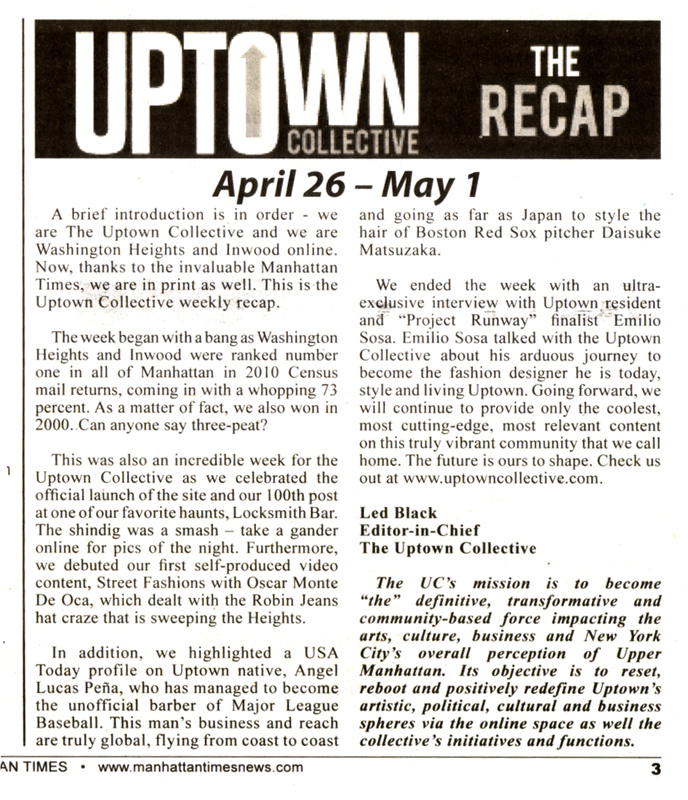 The Uptown Collective will now appear in the Manhattan Times on a weekly basis with a Recap of the prior week’s content. 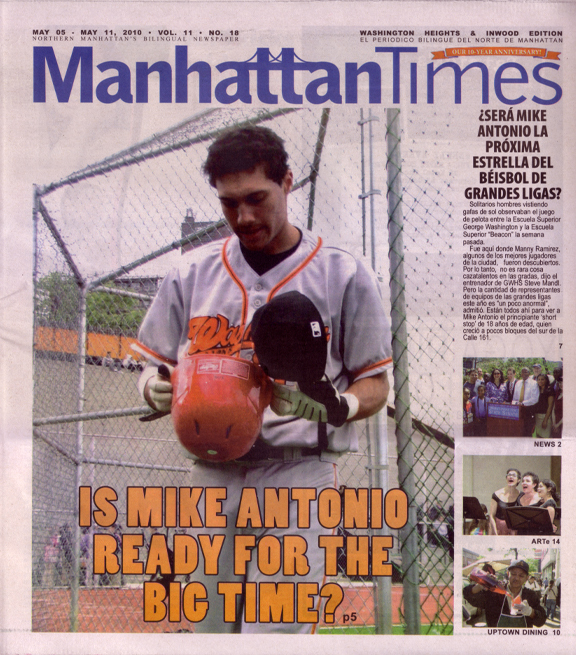 This is a big deal, so make sure you pick up a copy of the Manhattan Times. The icing on the Dominican cake is that Uptown Collective member, M. Tony Peralta’s new t-shirt collection, Uptown Local, was featured in the Shhhh section of the paper as well. They also mentioned UC stalwarts Republica Trading Company, Nostylgia and Probus.